1. I will be in Hawaii in November for my Big Girl Job.. and Guess what?? There is a 10K race while I am there!! I am super excited to run in Hawaii. Is anyone running the "Day of Hope" on Maui November 5th? Race info HERE. The money goes to the American Cancer Society. 2. It is getting DARK earlier here :( This means that our Family runs will come to an end soon. This is SAD to me!! I have loved running with Muscle Man and the Little Studs. I love Fall, not really a fan of Winter, I don't like the shorter days it is a bummer for a runner. Good news is that Muscle Man has been running on his own. I am HOPING this means that there is a Half Marathon in his near future. 3. 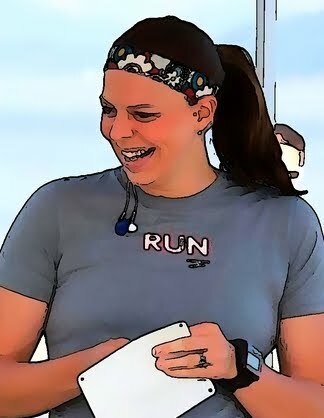 I was playing on a FUN website the other night cartoonize.net. All you do is upload a photo and the website creates a cartoon-type image you can download. I tried several photos, below are my faves from running.. I think they look a little like paintings. 4. My Run Wild race pictures came back, so I created a little montage to show the progression toward the Finish Line.. Wow do I have CRAZY FORM!! Funny thing is I know this and I really don't care. In College my coaches and trainers tried to fix how I ran, they told me to keep my knee straighter, lift my legs higher, drop my shoulders, etc.. The more they changed my form the SLOWER I got running up and down the court. They finally gave up..and I resumed my wonky form. 5. I have been the WORST host for the Tall Mom 1,000+++ Club this year :( But I am happy to report that people seem to be hitting their goals without any inspiration from me. 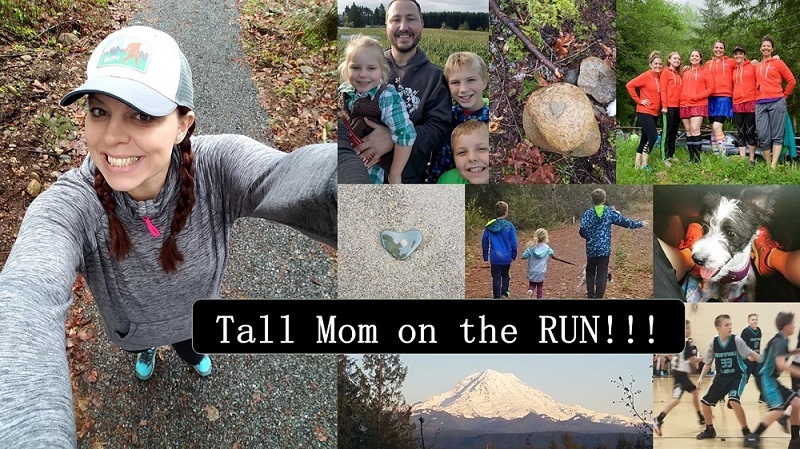 I love getting emails from folks who are PROUD to reach the milestone, thanks to Anne @ This Mom's Running Life for emailing and for her post "Goals are Good". I passed the 1,000 mark on October 11th!! Always exciting. With just 70 days left in the year will you hit your goal?? Hard to believe there are only 70 days left in the year!!! 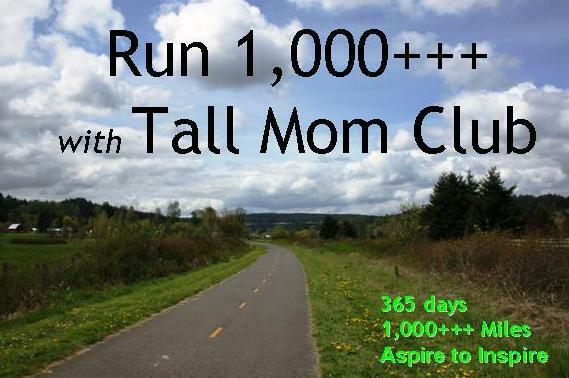 Will you try for 1,000+++ in 2012?? 6. I am debating testing the Ultra waters in 2012... 50K to be exact, It is the Rainier To Ruston Ultra and is just down the road. The course has changed from last year, I am a little intimidated by trails, but I would like to take on a new adventure.. I have no desire to go into the 50 milers like Shelly or the 100's like Emz, Hannah and Jesse, you are are AMAZING!! 7. SPECIAL Thanks to everyone who commented on my Feed Me Post HERE. Since I could not select the best recipe, I used Random.org to pick the winner of a tube of Nuun. Winner is Running Moose. Please email to claim your Nuun. 9. I wanted to race this weekend..BUT I also want to SLEEP!! Decisions, Decisions... What would you do? 10. 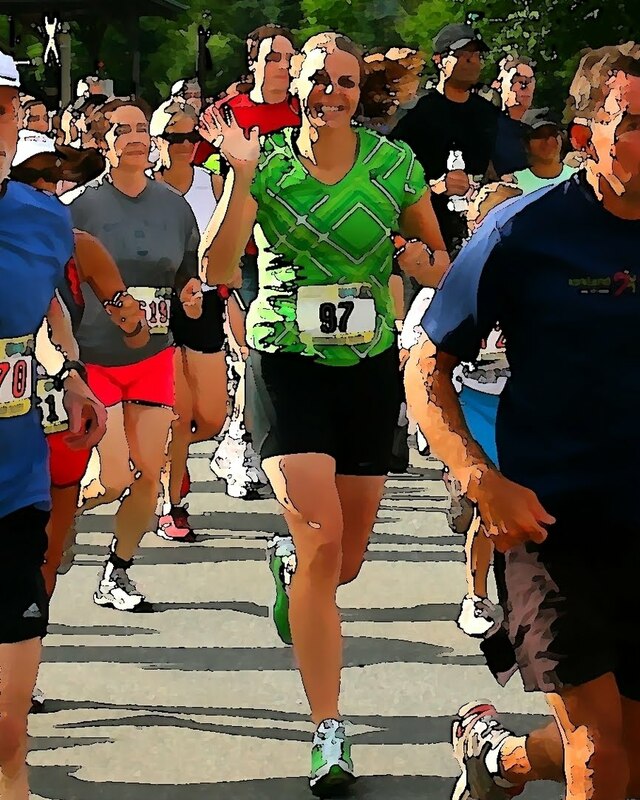 Marlene HERE is a ROCK Star and killed her Marathon, head over and tell her congrats. My Little Nuun HTC buddy Dorothy HERE also sped to an amazing PR in her Marathon. That's all I got.. How are you?? 10 days till Marine Corps Marathon! Oh, and I'm not ready. Oops. I am hoping to get to 1000 miles this year but i haven't updated the spreadsheet in FOREVER yikes, I need to get on that. I hope to do my first 50k in 2012 too =) although I do kinda hope to do a 50 miler one day. NEVER a 100 though that just sounds awful! I just emailed you about the sparkle skirt. I am so excited to have won! Thanks for having the drawing! Lucky you, getting to go to Maui for work! I ran that race last year! Couple of things: Hills. Lots of them. 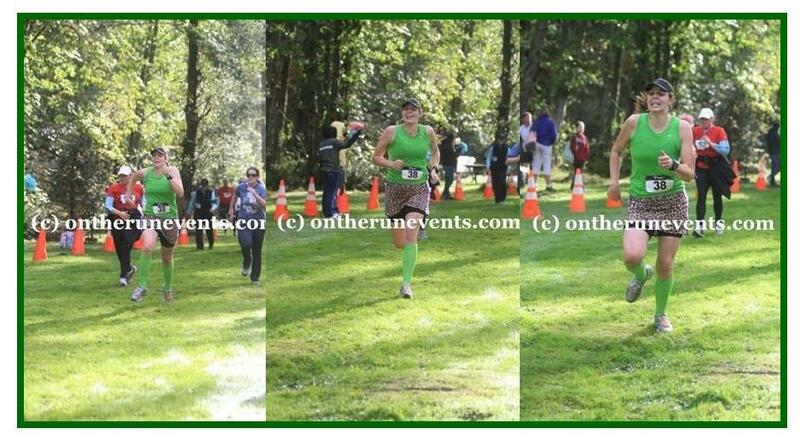 Fun race, tons of teams and people in costume...all of whom peeled off at the 5K turnaround. I swear there were maybe 25 people who did the 10K, and it was lonely. But the course support was fantastic - they had kids out at every turn, lots of water stations, and EVERYONE was thanking me as I ran. Very fun after party, too. 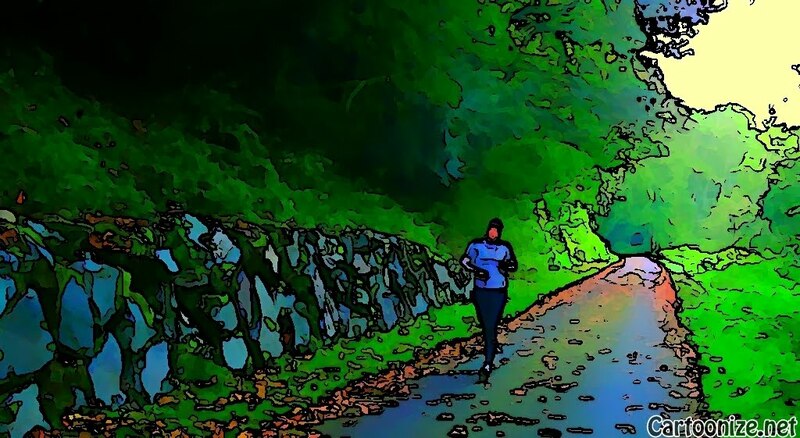 Mostly locals run this, but since you are there, you definitely should do this! Race or sleep....hmm....do you want to sleep or do you *need* to sleep? If I felt like I needed to sleep I'd totally bail on the race and sleep! That's awesome you'll be running in Hawaii! I really want to test out the ultra waters as well. I'd totally do Rainier to Ruston with you if I were closer (I'm moving to the Seattle area, but it won't be until late August)! Lol on your running form. My running partner told me the other day she can tell which runner I am because of my form. Not entirely sure if that's a good thing! Haha. Oh what a sobering thought.. only 70 more days! WOW.. I am nearly at 600 miles, but this is more than i have every done in my life. I am going to try like mad to reach the 1000 mile goal. Thank you Mel for your inspiration. Even when you think you are not inspiring us, you are! :) God bless you! Not going to make 1,000 miles this year after a summer slump (1,000km, yes). I'll definitely be in for next year! I hit the summe slump too, but am starting to rack up the miles again training for a 1/2 in Nov and a marathon in March. Hopefully I will get there! I passed the 1000 mile mark in 10 months this year and just today... I signed up for my second ultra. I had a rough day when I ran the 50K in a blizzard (seriously) so I'm trying the 50K again in the spring. Lucky lady going to Maui for work! I need some of that :) Have a great time, Mel! As for the ULTRA - You should go for it. You have the mental grit and tough as iron body to pull it off. No question. I will not make it to 1,000 miles as planned this year, but I have a great excuse- I'm pregnant with baby #2! I'm still running, just not as far (or as fast). I even ran a half with my dad at 10 weeks. We took it slow and steady. Since baby isn't due until May, I don't think I'll get to 1,000 for 2012, either. Maybe I should do the math and prorate the rest of the year for my goal? As always, your blog inspires me that it is possible to have a big girl job, a full family life, and still run like crazy. Thanks! i think i need to play with that cartoonize site! Oooh Maui! That's going to be great! I agree with you with the daylight. It makes me sad when it gets dark so early!! I am shooting for 1500 this year! The challenge has been so inspiring for me these two years and has helped me prove to myself that I CAN reach my goals!! 2012....sure!